Marit "Iron Lady" Bjoergen was so far ahead of the rest of the field in the women's 30-kilometer cross-country race that nobody else on the course could see her. The second-place skier even managed to lose track of where the Norwegian was going and veered off course. Americans Jessica Diggins and Sadie Bjornsen, Rosie Frankowski and Caitlin Patterson did not medal. Diggins, who took home the gold for Ladie’s Team Sprint Free in Country, finished in seventh. 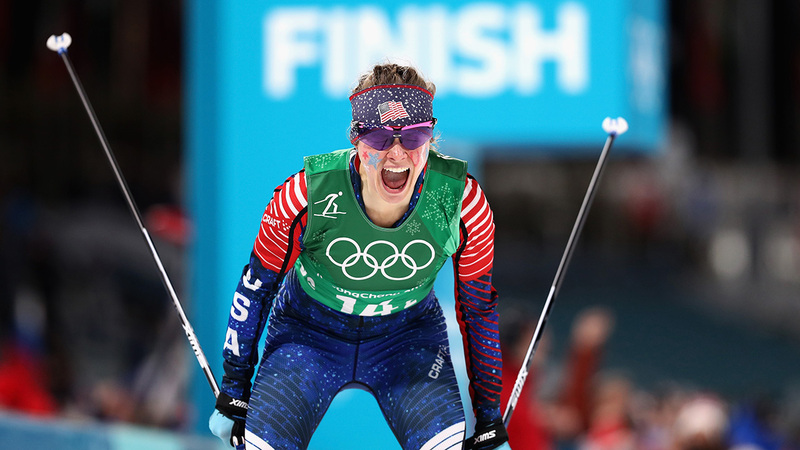 The 37-year-old Bjoergen was never challenged Sunday and finished her remarkable Olympic career in dominant fashion, winning the gold medal in 1 hour, 22 minutes, 17.6 seconds — more than 1:49 ahead of silver medalist Krista Parkakoski of Finland in the final event of the Pyeongchang Games. Stina Nilsson of Sweden won the bronze medal. Austrian skier Teresa Stadlober was in second place — nearly 90 seconds behind Bjoergen — with about 7 kilometers remaining when she went the wrong way. By the time she corrected her course, she fell to eighth place and out of medal contention. Stadlober finished the race in ninth. Bjoergen had plenty of time to pick up the Norwegian flag on the home stretch and wave it as she crossed the finish line to become the only Olympian to win five medals at the Pyeongchang Games. Bjoergen, who previously said this was her final Olympic race, finished her career with 15 medals, leaving her as the most decorated Winter Olympian in history. 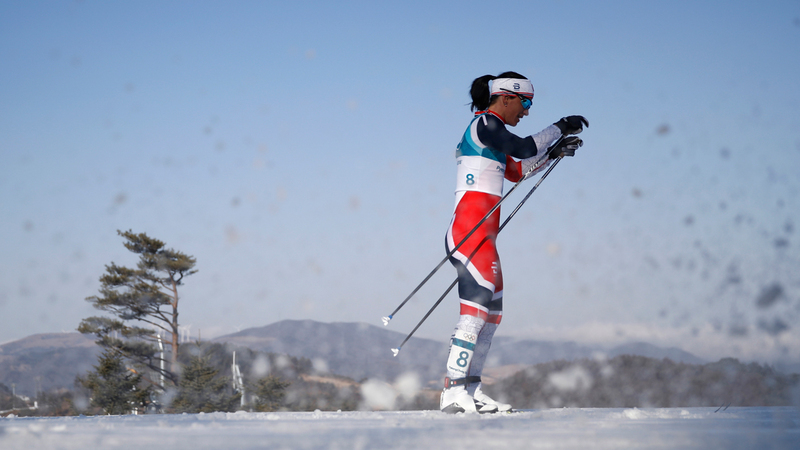 Charlotte Kalla of Sweden failed in her bid to match Bjoergen for a fifth medal at the Pyeongchang Games, finishing fifth in the race. Bjoergen's win was also big for the Norwegian team, which finished with 14 medals in cross-country skiing in Pyeongchang, breaking the record of 13 held by the Soviet Union in 1988.